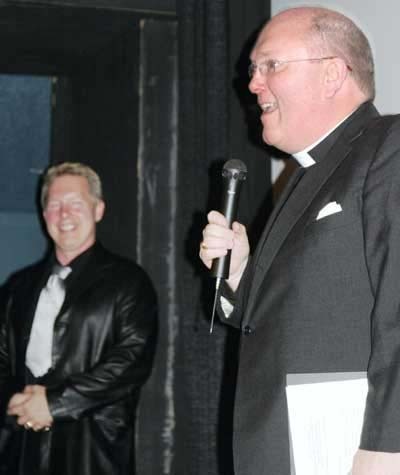 Reverend Timothy Holder, Jackie Curtis' brother gives the benediction just before the film rolls. With thanksgiving and love to Craig Highberger, Director and Producer Let us pray. 0 God, Creator, Redeemer and Sustainer, Mother and Father of all Lower East Side, of Slugger Ann, Jackie, LaMama, Andy and us all, bless, we pray, our Superstar in a Housedress dazzling for all eternity in Angel Gown and Heavenly Glitter.